This answer bothered me on two counts. The first was the smug naïveté of it all. It’s the “people should support us—after all, we do good work,” nonsense so many nonprofit folk spout. Here’s a news flash: No one “should” or even will support you merely because you think you are doing good. The larger concern, however, was this person’s clear unconcern for what the donor wanted, and frankly for the legal restrictions this donor’s gift put on the organization. If a donor wants a gift to be used for a specific purpose, and you accept that gift, you must use the gift for that specific purpose. Period. You may not decide that you have a better use for that money. You can, of course, discuss the matter with the donor before you accept the gift. On a couple of occasions during my fundraising career I thanked a donor for his or her good thoughts and tried to direct them to make the gift in a manner more fitting to our needs. Once it worked out wonderfully. They actually liked the new idea better—twice as much in fact, as reflected by the twice as large gift we received. Several times it worked out fine. They agreed that they would give the gift for our requested purpose. And twice the donors said no thank you and took their money elsewhere. One of the donors did give us a smaller gift for our purpose and then continued to be a regular and major donor. The other time, well to be honest, we never heard from that donor again. Most of the time, however, nonprofits simply take the money and try to meet the donor’s wishes. Sometimes that works; sometimes not. It never works if you take the money for one purpose and use it for another. Donors have brought lawsuits over this very practice. So what would you do if someone were to give you $5 million to expand your base of individual donors? I know exactly what I would do. I’d use that money to ensure that development and communications had the resources—human and otherwise—to identify, cultivate and steward donors. I’d make sure that staff had the tools, which includes appropriate training, to do their jobs well. I’d make sure that my development managers were coaching staff and using regular evaluations to ensure that good actions were being reinforced and bad ones replaced by good ones via training. I’d get the Board involved. 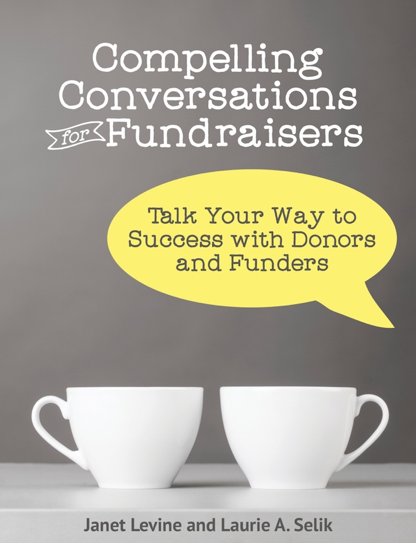 They are a major key to building up your individual donor pool. But it doesn’t always come naturally, so I’d make sure that they had the training they needed to be part of the solution. I’d bring my individual prospects and donors in to my organization, so they could see first hand how their generosity was being used and how it (and they) were making a difference. I’d ensure that we were hearing from them about how they felt about their involvement and what else they would like to see. And I would thank (and thank and thank) that original donor over and over again for understanding that it truly takes money to make money, and that with enough money we really can build a better mousetrap and be far more successful. But first I’d spend time with that donor, brainstorming ideas on what would be a good use of the funds for our organization and create a comprehensive plan to build a sustainable development program that would ensure we never needed another infusion of funds just to build up our prospect pool. This entry was posted in development programs, donor centered fundraising, fundraising, restricted gifts. Bookmark the permalink.